While some of these modes of travel have not yet come to pass, we have to admit they are all pretty unique. 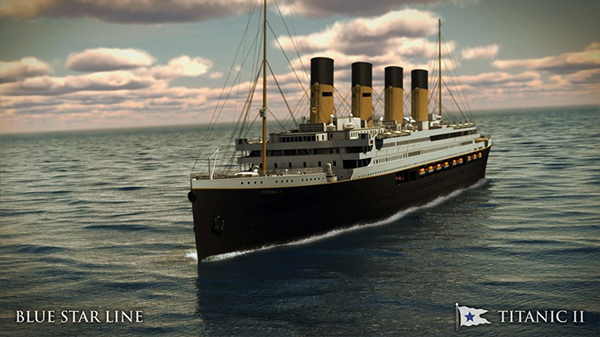 A replica of the legendary ocean liner Titanic is scheduled to set sail in 2018. Australian mining billionaire/professor Clive Palmer and his Blue Star Line Company held a press conference in New York City to reveal the blueprints for Titanic II in 2013. Palmer claims the replica ship will make its maiden voyage from Southampton, England to New York (following the same path as the original), carrying 2,600 passengers in 850 cabins and yes, there will be a enough lifeboats for all this time around – if he can get the project off the ground. As of March 2014, it was reported that the project had stalled and that Chinese shipbuilders CSC Jinling had lost interest. So far, no contract had been signed. However, Palmer insists the keel will be laid in late 2014, and a selection of cabins were being constructed on land for approval which would also be completed in the same timeframe. It has been rumored that wealthy travelers have offered up to $1 million each for a berth on board the Titanic II's for its inaugural journey. One can't help but wonder if lightening – or an iceberg – will strike twice. 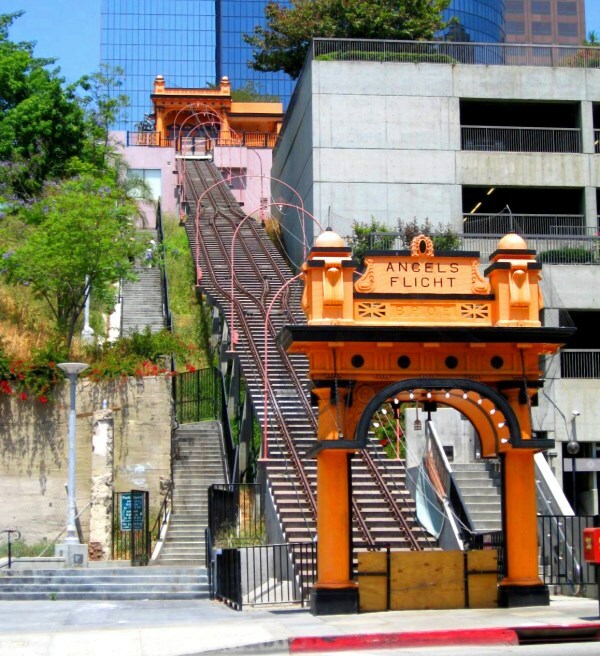 2The funicular that is known as the "shortest railway in the world"
Angels Flight, located in downtown Los Angeles, is the self-proclaimed "world's shortest railway." While the 315-foot trip lasts a mere thirty seconds, it is believed that Angels Flight has carried more passengers per mile than any other railway in the world, making it not only the shortest in length, but also the most traveled. Built in 1901, the funicular ferried millions of Angelenos up and down Bunker Hill until it was dismantled in 1969 to make way for commercialization of the area. 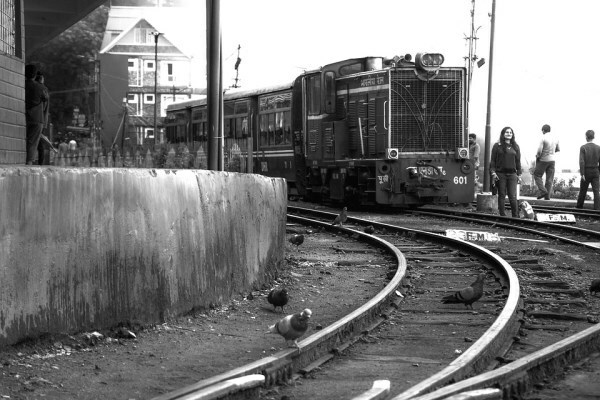 In 1996, the line reopened a half a block south of the original site, but was closed in 2001 when a serious accident killed one passenger and seriously injured a few others. The National Transportation Safety Board deemed a "design failure" as the cause, and the line remained closed for the next 9 years while repairs were made and lawsuits were settled. The line reopened again until 2013, when a derailment occurred. While there were no injuries this time, the NTSB want to see the creation of a track-adjacent walkway for use in future evacuations. They also want to see the installation of end-gates on the rail cars that are tall enough to prevent a passenger from being ejected in the event of a sudden stop. While the issues regarding Angels Flight are currently being addressed, there is no timetable as to when the tiny railway will reopen, but rest assured, this valuable piece of LA history will roll again. 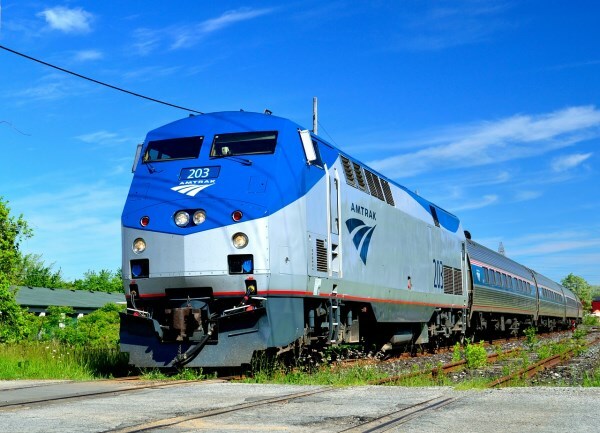 That's right, Amtrak is offering several lucky riders free, long-distance train trips to work on their writing while they ride. For up and coming scribes, the rail service will throw in a “private sleeping roomette equipped with a desk, a bed, and a window to watch the American countryside roll by for inspiration" on one of the company's fifteen long-distance routes. In 2014, Amtrak received over 16,000 applicants for its writers residency. Of that 16,000, 115 semi-finalists were selected, and 24 will be awarded the chance to ride the rails and find creative inspiration in 2015. Until the Hindenburg tragedy of 1937, zeppelins were considered the future of air transport. They all but disappeared for the next 75 years, but are now poised to make a comeback – enter The Aeroscraft. 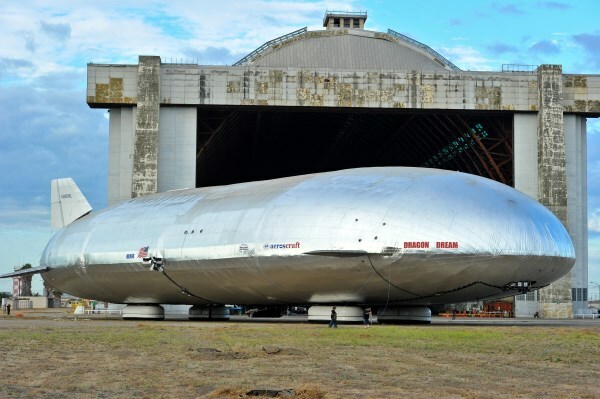 The Aeroscraft, designed by Worldwide Aeros Corp thanks to a $3 million grant from the U.S. government, is currently undergoing testing, and will be available to customers in mid-2015, when airships will be rented out for a year at a time. The Aeroscraft was built using innovative technology which allows it to control its flight better than previous models, so it should avoid the problems experienced by the first generation of zeppelins. It can take off and land without use of a formal airstrip (that means vertically, folks) and uses about third as much fuel as an airplane carrying cargo, making it well suited to war zones and disaster areas. 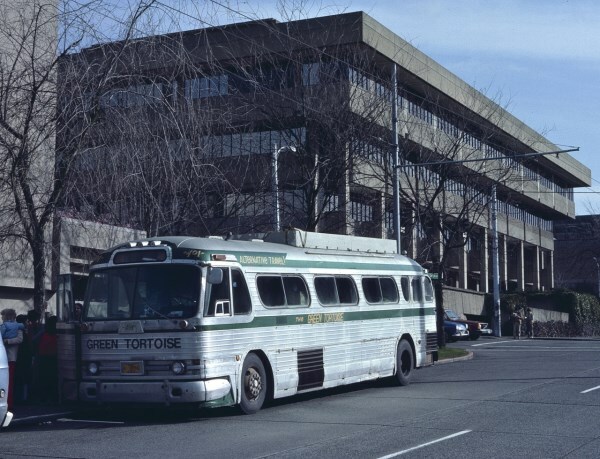 With the Green Tortoise bus line, it really is all about the journey. For 30 years, the San Francisco-based "hippy bus" line the Green Tortoise has ferried for more than 15,000 riders a year to Yosemite, Alaska, the Yucatán, Baja, New York, the national parks of the West, Seattle and New Orleans on the cheap. The buses are customized so that passengers can lounge around informally or sleep on bunk beds while the bus is moving. Most travel is done at night so that a new destination can be experienced during daylight hours. Riders not only sleep in the same space, but often cook together, making the Tortoise more communal and social than its conservative competition, Greyhound Bus Lines. Riders give up privacy, personal space and occasionally even showers for a sense of community, and develop long term friendships over the journey that they feel are worth the sacrifice. Fasten your seat belts, space tourism is already a thing – American businessman Dennis Tito flew into space aboard a Russian Soyuz rocket that arrived at the International Space Station on April 30, 2001. He was followed by a few others until Space Adventures halted the program in 2009 after the International Space Station's professional crew of astronauts and cosmonauts increased to six people, leaving no room for the tourists. • XCOR Aerospace - At $95,000 per person, the Lynx rocket plane – which can hold a pilot plus one passenger – will take tourists to suborbital space and will make four trips per day. Test flights began in 2014. • World View Enterprises – For $75,000 per seat, a pressurized capsule is hauled up by a space balloon and parafoil to 100,000 feet above earth. The vehicle will float up into suborbital flight and then glide back (this takes about 4 hours). Passengers will not need any anti-gravity training, and can even enjoy refreshing beverages in the cabin. • Virgin Galactic – At $250,000 a pop, a few celebrities have already signed up to soar 68 miles above the earth's surface including Brad Pitt, Angelina Jolie, Leonardo DiCaprio, Ashton Kutcher and Justin Bieber. • The Mars One Project – It's free, but there's a catch – “pioneer settlers” will not return to Earth, but will live and work on Mars, making it their permanent new home. Those chosen will undergo 8 years of training, prior to embarking on their journey. The first inhabitants will land in 2023, followed by more settlers every two years. Sometimes travel doesn't necessarily require a real destination to evoke a feeling. For those of you out there who remember the golden age of air travel (the 60 and 70s), or missed out on it altogether, you can now buy a ticket on a glamorous faux Pan Am flight and pretend you are part of the magic. "Your Pan Am experience starts on the main deck with a cocktail and beverage service in the First Class cabin. Each stewardess that greets you will be adorned in her original 1970?s Pan Am uniform. Our Pan Am crew will offer various video & audio selections while you sit back in your Pan Am Sleeperette seat and sip a cocktail. Soon after, you'll climb the winding staircase where the crew will set your table for a truly memorable dining event. 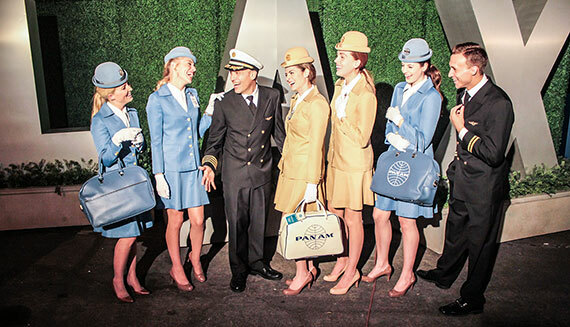 In classic Pan Am style, you'll be offered your favorite cocktail and be served a delightful gourmet meal. Everything from the china to the glassware is authentic with careful attention to the exquisite service delivery of the era and menu offerings of Pan Am." Don't forget to dress up! Air Hollywood requests that passengers don appropriate attire to fly, just like they did in the 1970s. While subway travel is nothing new or unusual, what can occur during a ride sometimes is. 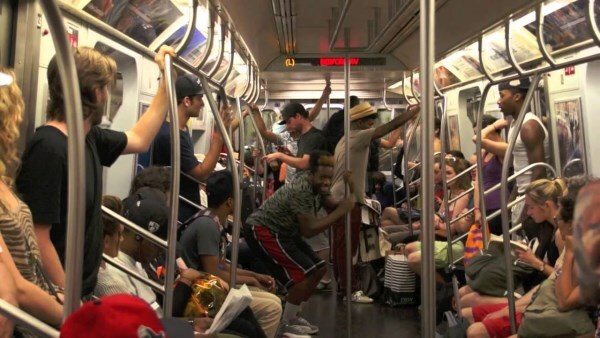 Irritating to some locals, but loved by tourists, subway dancing is a uniquely New York experience. However, you should catch "showtime" as soon as you can – the powers that be (city officials) are cracking down as "performances and other non-transit-related activity are prohibited on subway cars." China is taking the audacious, if not impossible, step of building a rail line underwater, which would – in theory – link it to the United States. Not surprisingly skeptics abound, but China insists it does have the technology and means to complete a construction project of this scale. Judging by the country's rail construction boom of the last few years (tens of thousands of miles of track for high-speed lines have already been laid), China just may be onto something. 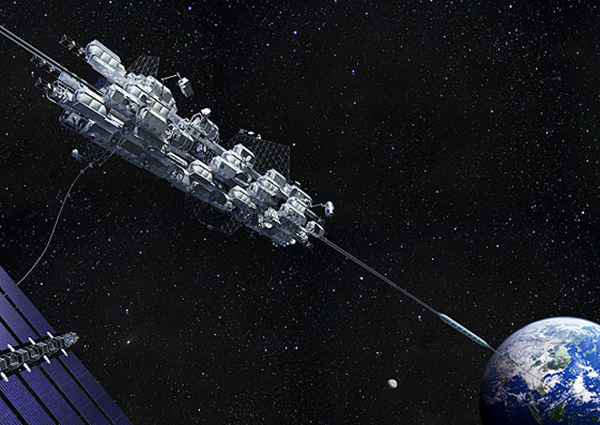 In 2014, a Japanese construction giant, the Obayashi Corporation, announced it had the means to construct a space elevator and will have it up and running by the year 2050. The company said that the elevator would reach 96,000km (59,652 miles) into space and use robotic cars powered by magnetic linear motors to ferry cargo – human and otherwise – to a not yet built space station. Obayashi is hoping to cut down on the dangers and cost of space travel via rocket with the elevator, and they are not the only ones doing so – former NASA contractor Michael Laine launched a Kickstarter to raise funds to research the feasibility of a lunar space elevator.